Yesterday was finally the day we had all been waiting for. We woke up at 8:15am, like almost everyday, and went to do the Froggy Games! We danced and played until 9am, when we went to have breakfast. At 10am… It was time to go to class! 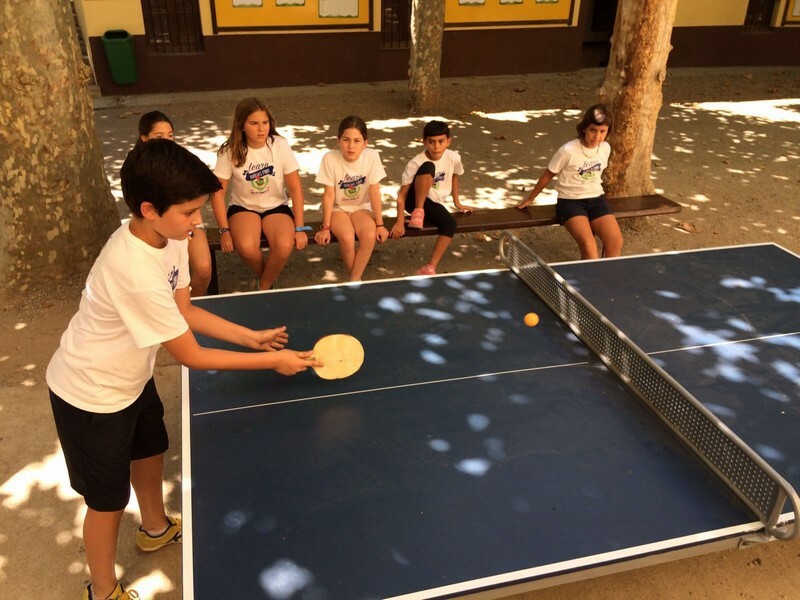 After an hour and a half of English class the students had a thirty minute break, when they could buy snacks in the bar, call their parents, play the world championships… Until class time! 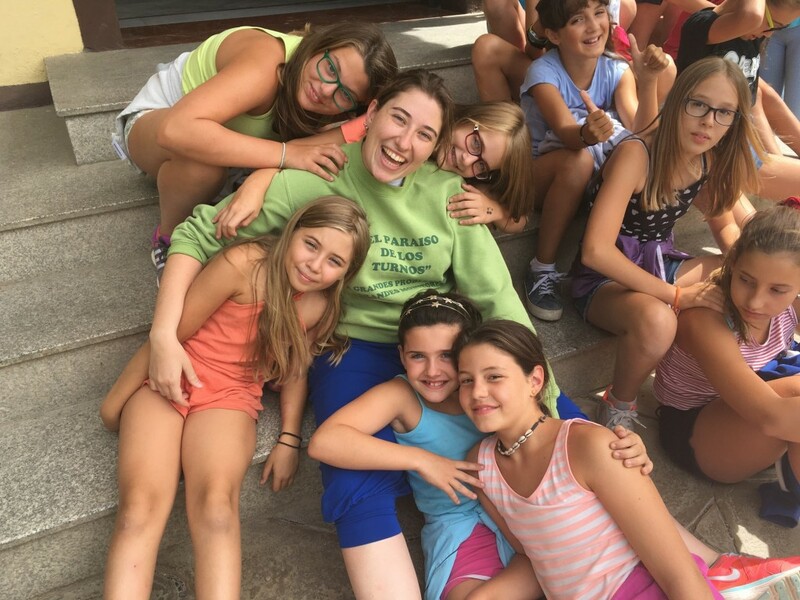 At 3pm, the girls from Dance Camp went to class and played games where they learned new dance styles such as sardana, flamenco or capoeira. They also did some body expression activities and contemporary dance and salsa classes. Last but not least they reahearsed their final coreography. All the other students went to their afternoon English class and did activities and games in English. At 4pm we put on our bathing suits, towels and flip-flops to go to the pool, we felt so refreshed afterwards! When we returned to La Capella we got dressed in sports clothes and we went to the garden to have a snack. The clubs started after the snack. The Olympic teams went to the three different clubs: Circus, Gimkana and Chemistry. At 19h the new Olympic Games rotations started in football, handball and volleball. The Olympic Games ended at 7:45pm, 15 minutes earlier than normal, to get ready and look smart ready for the Froggy awards. The kids were called up in pairs and they started sitting at the tables in the garden. When they were all at their tables our monitors started serving the dinner; pizza, potato chips, chicken wings, ice-cream… Delicious! And after dinner the Froggy awards started! 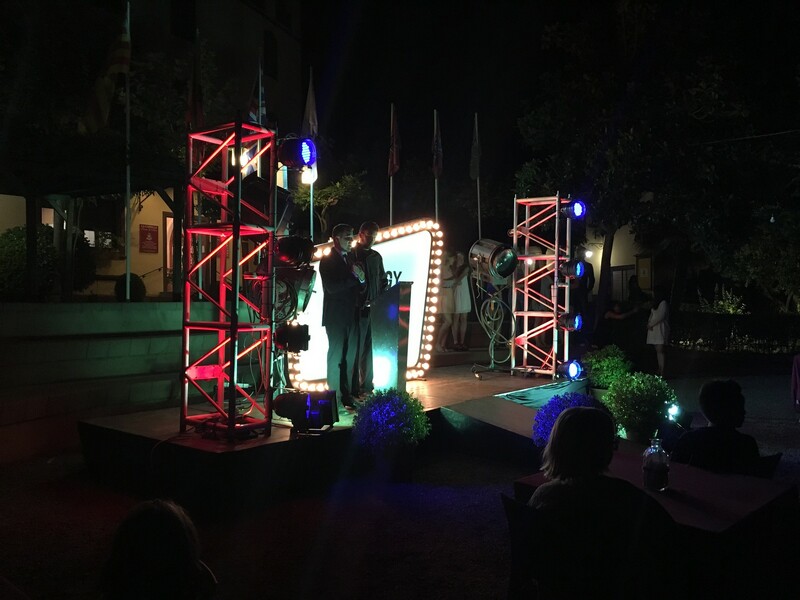 The awards were given out until bed time… and after, we went to sleep! Good night Poblet! Ayer finalmente fue el día que todos estábamos esperando. Nos levantamos a las 8:15h, como casi todos los días, y nos fuimos a hacer los Froggy Games! Bailamos y jugamos hasta las 9h, cuando nos fuimos a desayunar. A las 10h… It’s time to go to class! Después de una hora y media de clase los alumnos hicieron un break de treinta minutos en el que pudieron ir al bar, llamar a los padres, jugar los campeonatos del mundo… ¡hasta la hora de volver a clase! 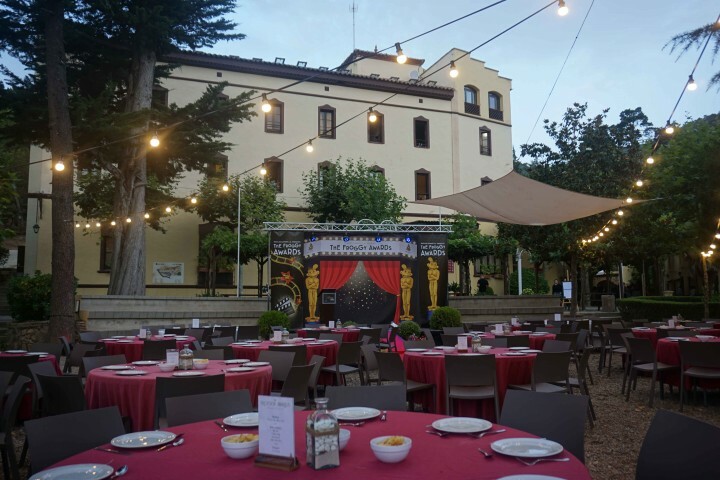 A las 15h las niñas del Dance Camp fueron a clase donde hicieron juegos en los que aprendieron nuevos tipos de baile como la sardana, el flamenco o la capoeira. También hicieron actividades de expresión corporal y clases de contemporáneo y salsa. Por último estuvieron ensayando la coreografía final del campamento. Todos los demás alumnos fueron a la clase de inglés de la tarde e hicieron actividades y juegos en inglés. A las 16h nos pusimos los bañadores y cogimos las toallas y las chanclas para irnos a la piscina, ¡qué bien nos sentó darnos un baño refrescante todos juntos! Cuando volvimos a la casa nos pusimos ropa de deporte y bajamos a merendar. Tras la merienda empezó la hora de clubs. Los equipos de Olympics se repartieron en los tres diferentes clubs: Circus, Gimkana y Chemistry. A las 19h empezaron las nuevas rotaciones de Olympics en fútbol, handball y volley. 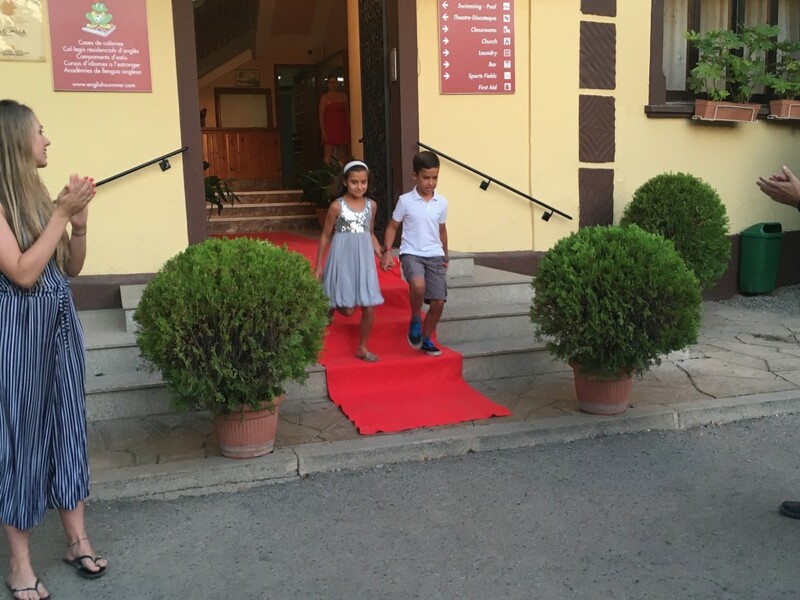 A las 19:45, 15 minutos antes de lo normal, se dieron por acabados los Olympics para ir a ponernos bien guapos y elegantes para asistir a la cena de los Froggy awards. Se fueron llamando a los niños por parejas y se fueron sentando en las mesas que habían preparadas en el jardín. Cuando estuvimos todos sentados nuestros monitores, hoy camareros, empezaron a servirnos la cena; pizzas, brochetas, patatas, alitas, helado… ¡Delicioso! 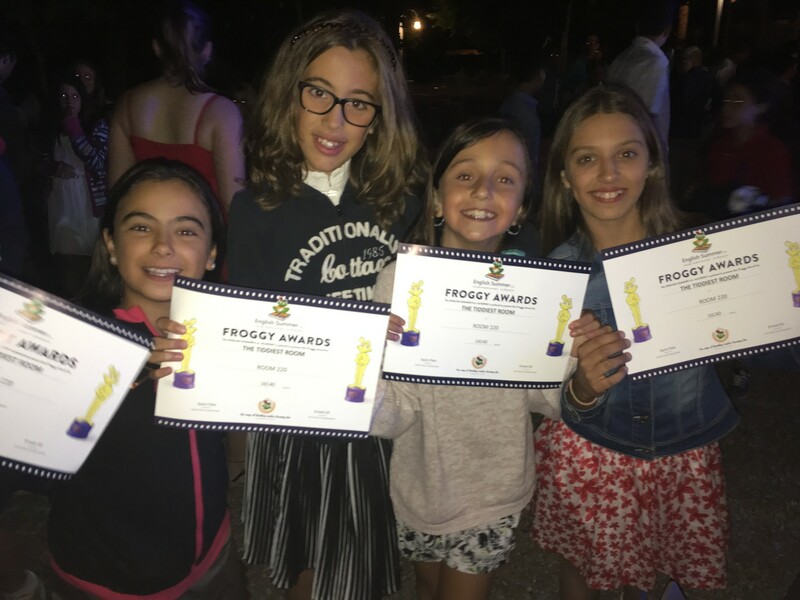 ¡Después de la cena empezaron los Froggy Awards! Se fueron entregando premios hasta que, ya muy cansados, nos fuimos a dormir! Good night Poblet! ¡Animaros a seguirnos en Twitter, Facebook e Instagram! Tenéis disponibles las fotos y vídeos del día en el área de clientes. LET’S PLAY THE BIG FROGGY GAME! OLYMPICS NIGHT EN EL CAMPAMENTO!